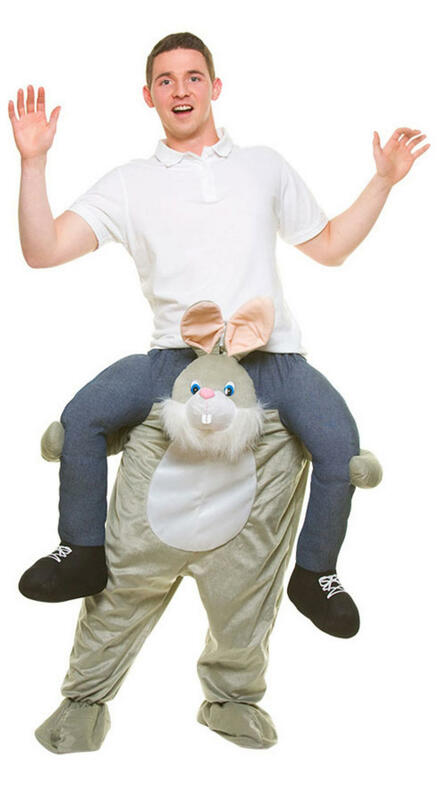 In our hilarious Carry Me Funny Rabbit Adult's Costume, men and women can 'boing' into any party with unforgettable style! With inventive design, the popular Carry Me brand produces an effect that is both eye-catching and fun for all ages. You can wear this brilliant adult costume time and time again and for any fancy dress occasion. We think it's perfect for fairy tale and animal themes as well as World Book Day and Easter. This fantastic number offers a comfortable piece that comes in one size to fit most adults, featuring high quality material and cute bunny form, all for the best price online. You'd be hopping mad to miss an opportunity such as this!